MANILA, Philippines - The Alaska Aces were not able to sweep defending champions San Miguel Beermen on the crucial Game 4 of the 2016 PBA Philippine Cup on Sunday, January 24 at the PhilSports Arena in Pasig City. San Miguel Beermen managed to pull off a stunning comeback, 110-104, to extend the series, 3-1 in the best-of-7 and now looking to become the first team in PBA history to come back from a 0-3 series deficit. San Miguel is still playing without the reigning back-to-back PBA MVP June Mar Fajardo, who received the Best Player of the Conference award prior to the game. Chris Ross was hailed as game's best player, scoring a near triple-double of 11 points, 12 rebounds and 9 assists. Marcio Lassiter scored 26 points, Gabby Espinas had 21 points and 14 rebounds. 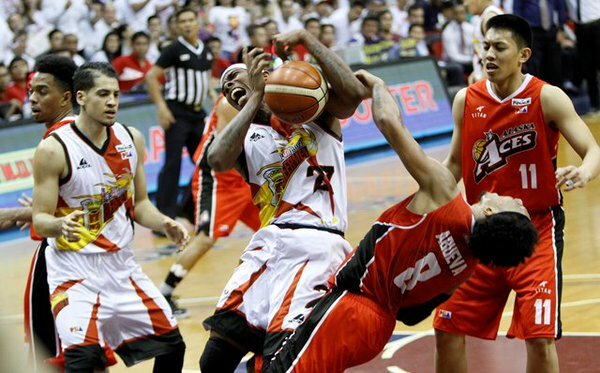 Game 5 of PBA Finals series is set on Wednesday, January 27.